Are you tired of trying to increase engagement without success? Do you spend time and money without see the results? Does it seem at times employees simply don't want to engage? What can be done to increase engagement? More birthday cakes and balloons? The conventional wisdom is - you attempt to increase engagement which then drives productivity and therefore employee value increases. People Profits has also seen it work the other way with SPECTACULAR RESULTS! 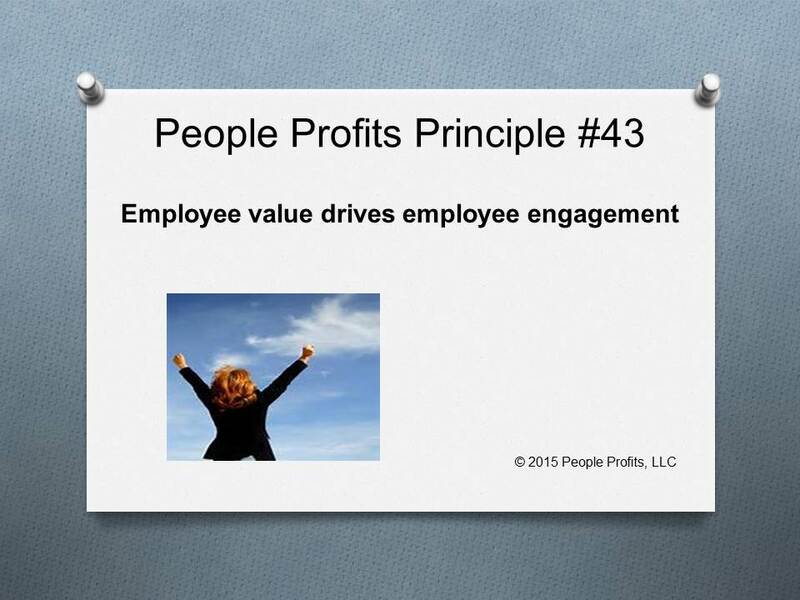 Figure out how to increase the value of your employees which will then increase engagement and retention. Would you like us to show how you can do it?